Anglers who are extremely passionate about fishing usually have more than one kind of fishing rods in their set of equipment. This is because each kind of fishing rod is different and designed to cater to a unique task besides fishing in general. Conventional fishing rods come in 1 or 2 pieces and can be used to catch almost all kinds of fish, be it in fresh or salt water. But convenience and portability is something that a lot of anglers require, especially during unplanned trips or when space is limited. Telescopic fishing rods are designed for those who always wish to have a rod handy wherever they go so that they never miss out on the opportunity to catch some fish. While it is true that telescopic fishing rods may not be ideal to catch big fish and anglers are advised not to apply much pressure on them, but their compact size and light weight make them perfect tools to carry on short trips. They are also easy to use and operate just like conventional fishing rods, providing you with great fishing memories minus the hassle of extra weight or awkward storage space. Whether you wish to step into the world of angling with a compact telescopic fishing rod, or you just want to add one to your collection, we have a list of the best ones in the market. You will also be well informed about the features that differentiate fishing rods and what all you need to look at to choose the perfect rod for you. 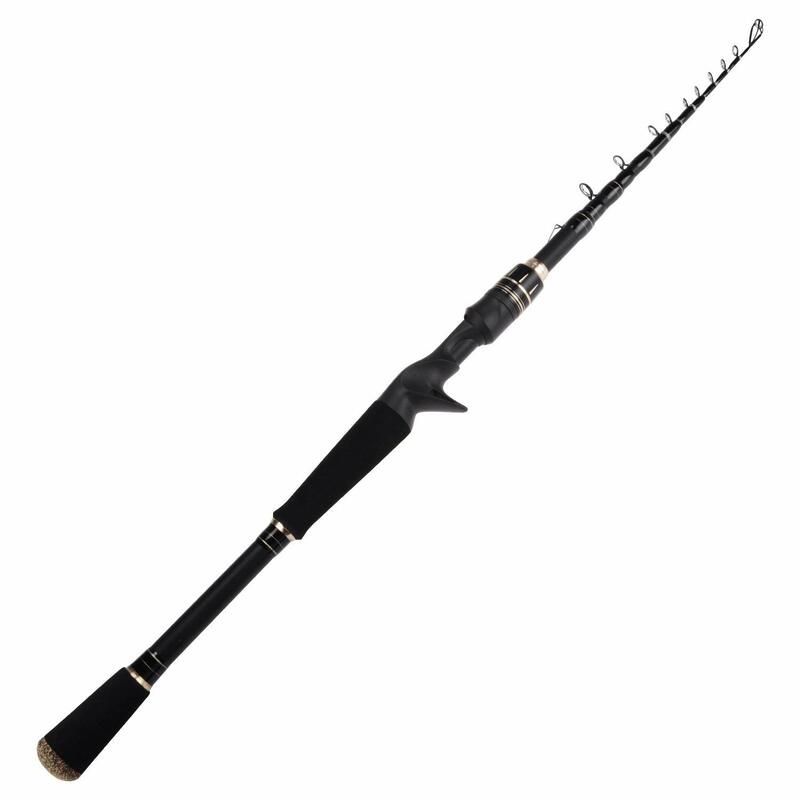 The BX STC is a mini rod that extends to 7.9 ft (2.3 meters) with strong and sturdy tips. It is great for freshwater fishing and comes in a durable casing that protects the tool during storage or transportation. It can be collapsed to the tiny size of 1.25 ft as it breaks into 11 parts, making it a perfect travel tool which you can take along whenever you feel like there is a slight chance of hitting the water bodies. You can use 500 or 1000 sized Shimano reels and also upgrade with Vibraspot reel seats so you can be alert of every single bite. The combined weight of the reel and rod may not be the lightest but it will still be comfortable enough to carry anywhere and cast for long hours. You will surely enjoy the action and smooth performance of this very portable fishing rod and will want to carry it everywhere with you. It is ideal for last minute trips and can be used to catch small to medium sized fish. If you know someone who also shares a great passion for fishing then this will make a great gift because not only does it perform well but it also looks stylish. If you are looking for a telescopic rod with performance to match a one-piece rod then you can check out the Blackhawk II by KastKing. This 6 piece fishing rod comes with multiple floating guidelines for a great cast and smooth taper, preventing dead spots in the blank. For your comfort and a firm grip, the handle is made of high-density EVA while the reinforced reel seats and Saf-T hook keeper add on to the durable construction of the whole rod. Keep in mind that when extending this rod you will have to start pulling at the tip to support the guides one part at a time. You will have to move down from one part to the other until you reach the reel seat section. The action must be reversed when closing or collapsing the rod as you work your way up from the bottom part to the tip. 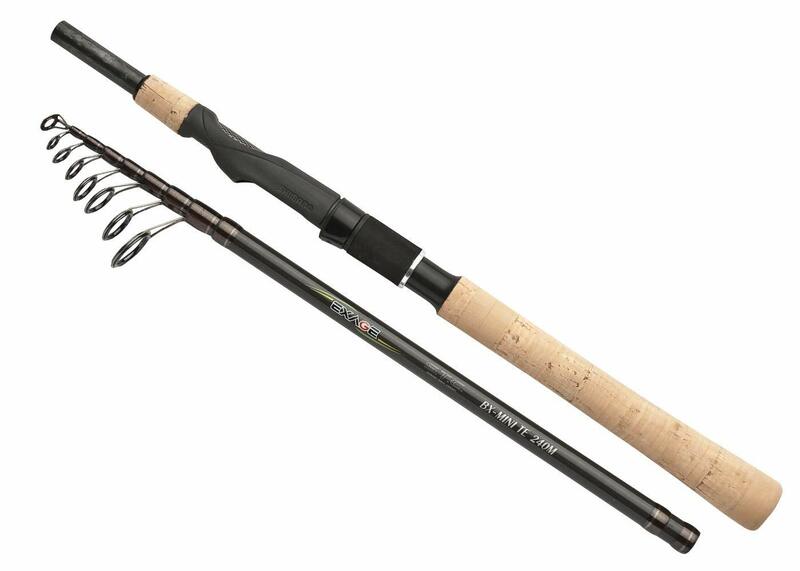 With fast action and impressive power, you can use this rod for various fishing techniques, both for freshwater fishing and saltwater fishing. You can now enjoy fishing anywhere and anytime, without being restricted to only one type of water body or fishing technique. You will not even realize that this rod comes in 6 pieces because the excellent features and strong build of the rod make it no less capable than a full sized traditional rod. For the price, you may not be ready to believe the excellent construction quality and high-end performance of this super lightweight fishing rod, designed for fly fishing. The carbon fiber and AAA cork make the rod extremely durable and help you achieve the smoothest fishing results. Forget about tangled lines as the rotating swivel tips keep the line straight and save you the hassle and annoyance of tangled lines. You also get the option of choosing from different models, each designed to catch a particular size of fish. The smallest size- 10ft- is ideal to catch small fish ranging from 10 inches to 16 inches while the 13 ft rod can easily help you target fish up to 22 inches. The triple zoom fishing rods are designed to cover all sizes of fish, ranging from 10 inches all the way up to 20 inches. For storage or during transportation, the rod can be collapsed to a tiny size of 21.3 inches, making it a great tool to carry in your luggage or backpack. To top things off there is also a year’s warranty from the manufacturers so you can have peace of mind for a good whole year and just enjoy the high-end performance of the rod. The Mako by Hurricane has 6 segments which each collapse into the other, highlighting the main reason why telescopic rods are so popular in terms of portability and convenience. The rods can be bought in two sizes- 7 feet and 8 feet in length, which fold to a smaller size of approx 20 inches only. The construction of the rod is high-quality fiberglass, which reduces vibration and works best for long distance casting. For the comfort and a good grip, the EVA handle will allow you to enjoy smooth and less tiring casts during those long fishing trips. The ceramic guides and the graphite reel seat with stainless steel cushioned hoods add to the sturdy construction of this solid rod. If you are traveling you can make great use of the case it comes with and once you purchase a decent reel to go with it you will have a complete package to give you the best time on the waters. Although the rod is much heavier than other graphite rods, it is still easy to use and will not cause much user fatigue or discomfort. The action is well enough and you can use this rod for fishing in the lakes. You can take the Black Warrior for some quality saltwater fishing the next time you are in the mood to catch some saltwater fish. The high-density 24-ton carbon fiber and E-glass composite give this spinning rod amazing power while the carbon fiber Matrix increases its sensitivity when fishing in freshwater with artificial lures. You can choose from 7 different lengths which can deadlift up to 10 pounds. This allows you to catch fish of all sizes and you will not be disappointed with the power of this thing. The rod closes at a tiny size of 16.5 inches, which is small enough to be able to pack into any luggage or back-pack. For your comfort, the handle is designed with EVA foam and it also provides an excellent grip so you are in perfect control of the tool, something you will appreciate after hours of fishing when your hands tend to get sweaty and stiff. Because the reel seat is made of corrosion resistant CNC machined aluminum you don’t have to worry about rusting when used in salt water. This will keep the rod in great condition for years and also enable you to take it out in harsh weather conditions. This is a 13 feet long fishing rod with 4 collapsible parts that slide into each other. The pole is of 100% fiberglass which is great for beginners and those wishing to cast long. The minimum vibration on the pole is excellent to keep hooks in place. As for the design, if you are someone who loves to own things that not only perform well but also look great then you will love the black with red stripes, finishing it with a glossy effect. It is not too heavy and perfect for tight places so you can fish in spots where there are hidden fish. If you are looking for something with just the perfect length then you will love this item. The quality is also top notch and the light weight reduces any chance of user fatigue. A lot of users who took this out for shore fishing where impressed as it kept them out of weeds. If you purchase the right line and reel with this rod you will have a great fishing expedition every time you hit the waters. The Pack-It is one of the most compact telescopic fishing rods you can get. It has a length of 5 feet 6 inches when pulled out to full length and can close to become as small as 18 inches in length. The durable glass construction can definitely tackle aggressive handling so you can relax and pack it in your trunk or backpack whenever you are planning a trip. The strong build and high-quality construction of the rod will allow you to carry it all over without worrying about damaging the tool. It weighs around 2 pounds which is light enough to fish with even on a day-long fishing trip. The ceramic guides add to the durability of the rod while the EVA foamed handle ensures user comfort and a firm grip when your hands get all sweaty or slippery from handling fish. It is also quite affordable so you will not be breaking the bank to own it. With a good cast, the rod will do a great job in catching small to medium fish and with its high-quality features, you can enjoy using it for years. It also makes an excellent gift for anyone who loves fishing or wishes to start taking part in this recreational sport. This kind of fishing rod does not really differ a great deal on the way it works from any other fishing rod but its ability to wrap up and become pocket-sized when the need arises makes it different. Telescopic fishing rods are broken down to a number of parts that slip into each other to reduce the length of the rod when not in use, hence the ‘telescopic’ title. All you have to do is extend the rod, attach a fishing reel and you are good to go. Because the rod segments slip into each other, the rods have to be hollow inside, which makes them a little less strong. This is the reason why telescopic fishing rods are not meant for heavy duty work. But besides that issue, this fishing tool will serve you in the best possible way when you need to pack a rod in limited space for your next fishing trip. But before you spend your cash on a rod, make sure to read about its features and their functions so you do not end up with something that will not fulfill your needs. The first thing you need to consider is your fishing technique and the kind of fish you like to catch. Whether you prefer to fish in freshwater or spend most of your time fishing in salt water will also be a factor to look at when choosing the ultimate telescopic fishing rod. The size must be looked at two points here- when it is fully extended and when it is collapsed. A fully extended rod that measures a decent length will give you good power and enable you to cast further. You also have a better chance at retrieving larger fish that require more power to bring in. However, if you want to cast shorter distances and prefer more flexibility in movement then shorter rods will be better for you. For spinning fly fishing a rod that extends to 2 or 3 meters should be just fine, whereas if you are into the casting-surf fishing technique then you will need a rod that extends to a length of 2 to 4 meters. For match-fishing where you fish with fishing floats the telescopic rod should have 10 extra narrow sections and measure around 3 to 5 meters in length. The size collaborates with the weight to give you the best results based on your preferred type of fishing. The collapsed length (the length of the rod when it is folded completely) determines its portability. For instance, if you are planning a road trip where you can just place your rod at the back of your truck or in the car’s trunk then you can pick something that isn’t necessarily the smallest but compact enough to fit the storage area. However during the times when you have to board a plane to go somewhere then space in your suitcase becomes golden and you need a rod that folds to the smallest length possible. 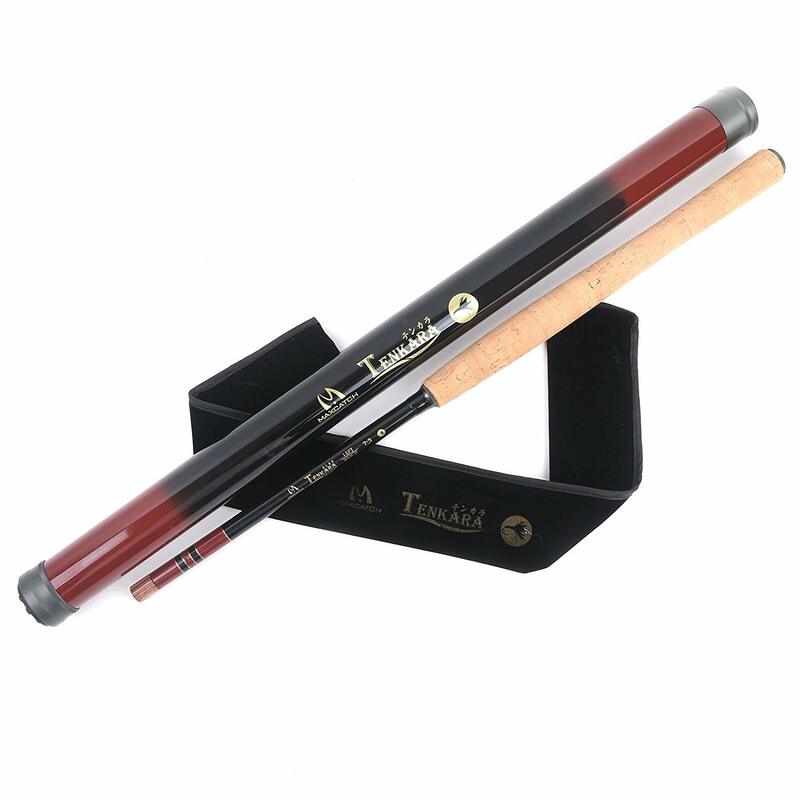 Telescopic fishing rods give you the opportunity to carry your precious fishing tool even when traveling to another country without sacrificing too much luggage space. User fatigue can be alarming during long fishing periods. If your fishing rod is too heavy then you will surely feel its weight around your hands and arms when handling it for hours. A lightweight tool will allow you to cast for a longer time and also let you enjoy your time without being weighed down. Another reason to look for a rod that is lighter is that if you plan to pack it in your luggage during a flight then it will not cut you back on extra space or weight. As long as the construction of the rod is sturdy and strong, you should always pick the lightest fishing rod for your comfort. The materials used to construct your fishing rod will play a great role in its overall quality and durability, as well as how impressive its performance will be in terms of power and action. The weight of the tool is also determined by the materials it is made of, so it is an important factor to look at. Fiberglass fishing rods are preferred by beginners due to the curve that makes them ideal for easy long distance casts and the minimum vibration help keep the hook in place, preventing the escape of your catch. However, graphite/carbon rods are lighter and can alert you of every single movement on the hook. This enables you to hook your catch in the shortest period of time. Some rods bend too much at the tip when pressure is applied while some bend a little and snap right back to their initial state. This maneuver is known as its ‘action’. When a rod has fast action, it will not bend a great length and will return to its original position very quickly. You will need these kinds of rods to catch big fish. Rods will slow action tend to bend a lot and throughout its length which makes them ideal only for smaller fish. If you like to catch all kinds of fish then you can settle for something with moderate action because it offers medium flexibility and can be used to catch all sorts of fish. This is almost the same as action but refers to the rods ability to resist bending. If a rod is not powerful enough then it will bend a great when a big fish is hooked and the extra flexibility of the rod will make it difficult to handle it. Whereas a rod with good flexibility will help you catch smaller fish with ease and comfort. You must consider the type of fish you wish to catch when choosing a rod so you can get the right powered one. A telescopic fishing rod needs some maintenance due to the way it is designed. Because the rod is divided into parts which slip into each other, it may be prone to damage if it is not cleaned after every use. The construction also makes it less durable than a traditional fishing rod so extra care must be taken when handling a telescopic fishing rod. Prices may vary just like with all kinds of fishing rods, and products in general. Having said that, telescopic fishing rods are affordable and great for those interested in occasional fishing where one would not want to invest in something too expensive. But despite being affordable, they are very convenient and can perform just as well as conventional fishing rods. If fishing is something you enjoy doing as a hobby or you are a professional angler, you need to have the right equipment for the best fishing experience. 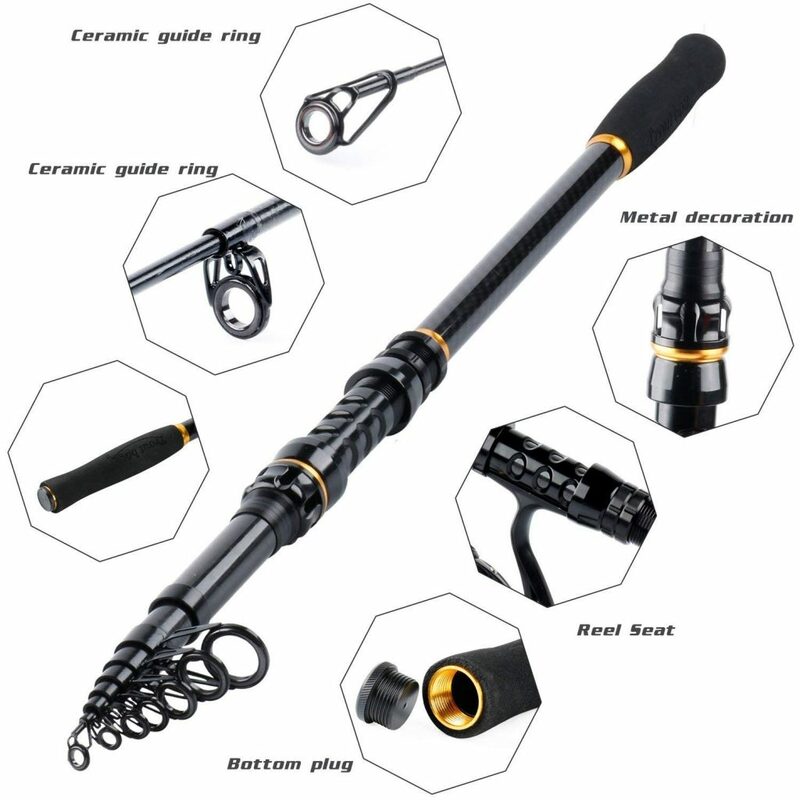 With the market buzzing with all kinds of fishing rods, you are sure to find something that will work out best for the kind of fishing you like to do and if you are someone who prefers flexibility and convenience then you must add a telescopic fishing rod to your collection. Let us take a look at some of the ways in which you can benefit from using this fishing tool. 1. Convenience – Although not the only great thing about a telescopic fishing rod, but definitely one of the best things about it. The fact that these rods can be folded/collapsed and turned in to a pocket-sized tool makes them extremely portable and great to take along trips when space is limited. If you ever wish to include your fishing rod in your luggage when boarding a flight to another destination then traditional fishing rods will probably give you a hard time but with telescopic fishing rods you won’t have to worry about taking up too much space or weight and you can carry your precious tool wherever you go. 2. Flexibility- Whether you wish to cast a short distance or far into the water, you can adjust the length of your telescopic fishing rod to meet your requirements. You will have better chances of catching the most fish in the far end of the lake and with a telescopic fishing rod, you can easily target those areas. 3. Powerful luring- The more hooks you use the better chances you have of landing a fish. Because this kind of fishing rod uses the bomb shackle, the large bait size prevents the fish from escaping too easily and gives you more time to lure your catch in. 4. Easy to use- The telescopic mechanism may seem like a complicated design at first but it actually does not make operation any hard. Telescopic fishing rods can be used by beginners as well as experienced anglers. 1. Can I use a telescopic fishing rod for saltwater fishing? It depends on the rod itself, being telescopic will not allow or restrict you in any way, some models are designed for freshwater only while some can be used to fish in salt water. You will have to look at your particular model to find out what kind of water body it is designed for. 2. Do I need special kinds of accessories for these kinds of a rod? Like a certain type of reels, lures, and lines? No. Telescopic fishing rods do not require anything special for them, you can use all and every kind of reels, lures, and lines with them. 3. What kind of action can I expect from a rod? The same you could expect from any traditional fishing rod. It depends on the model and its construction. 4. Will I be restricted to a certain type of fishing technique while using the telescopic fishing rod? You can use this kind of fishing rod for all kinds of fishing techniques and catch all kinds of fish. They can be used in freshwater as well as salt water depending on the build of the rod itself. 5. How can I look after my fishing rod? It is important to clean your fishing rod after every use, especially with telescopic fishing rods due to their multiple parts. If any particles get stuck between the parts then you will have trouble closing or opening the rod and cause it further damage. Always clean the rod well and dry it before storing it away. You must also keep your fishing equipment away from direct sunlight and harmful substances. Fishing, in general, is an amazing recreational sport. Some take part in this activity to escape the chaos of city life and the stress of a busy schedule, while some choose fishing as a career. 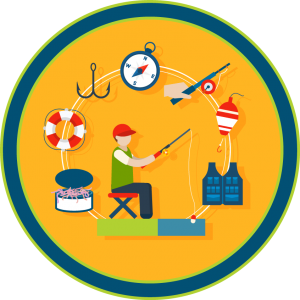 Whatever the cause, fishing is a popular activity and its popularity is growing as more and more people are trying their hand at it. To be able to enjoy this sport you will need to have the right equipment and owning a decent fishing rod will benefit you greatly. Telescopic fishing rods are probably the best kind of rods you can start your fishing journey with because you can always have one with you whenever you decide to hit the waters or whenever an opportunity of a getaway arises. Just pack it in your back-pack or throw in your car’s trunk and go fishing. This will also let you practice more. The fact that they are also extremely affordable making them a must-have tool for all anglers.